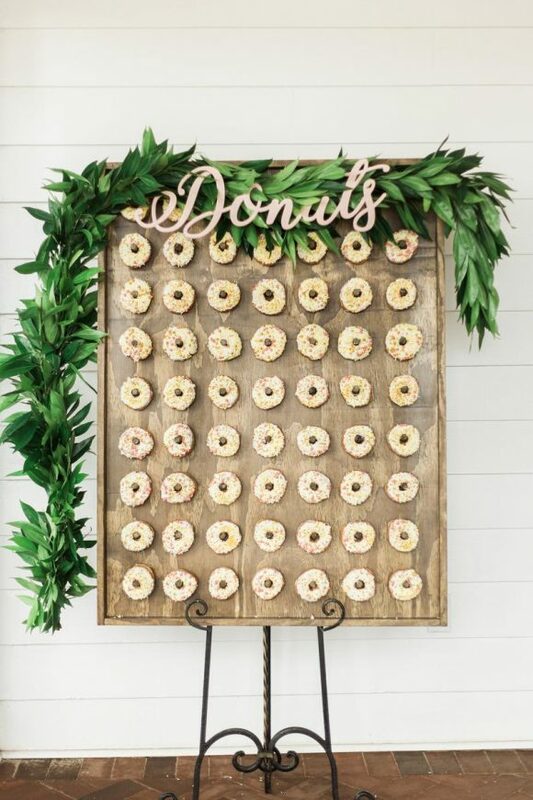 We've great ideas for bridal shower party decorations such as a donut wall, a 'love' balloon, a guest book poster, and so much more! 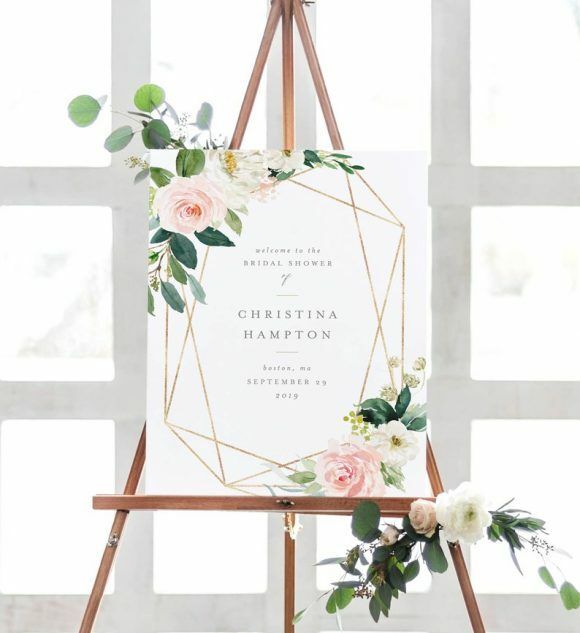 Set the tone of your bridal shower with a gorgeous rustic welcome poster like this one. Place it at the entrance of the party to guide your guests to the right spot. 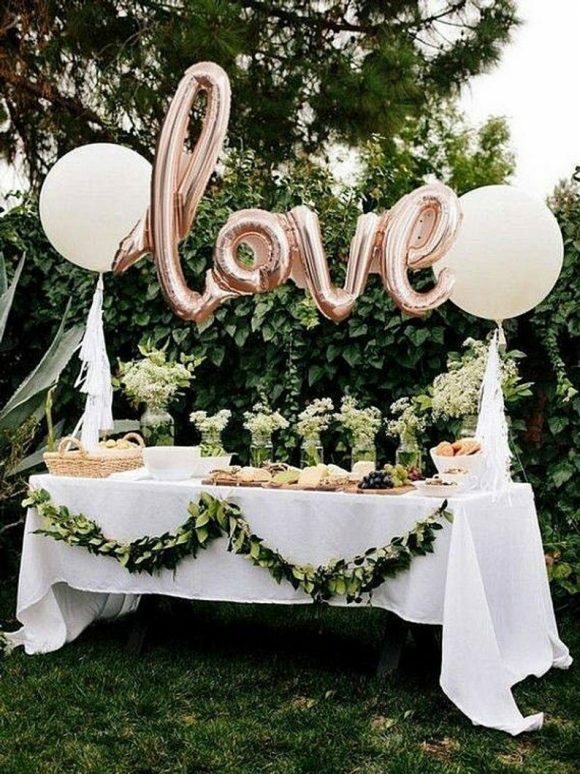 Love is definitely in the air at a bridal shower, so use it as the mantra of the party and have a "love" balloon garland decorating the shower! It's a fabulous way to create a backdrop for the dessert table. It's quick and easy and looks amazing. 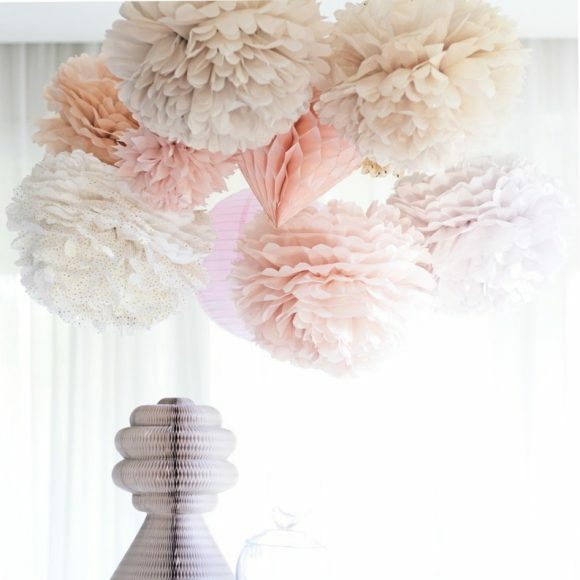 These Poms poms, made from tissue paper, are a great party decoration that creates a gorgeous look and are simple-to-assemble and hang. They are so delicate and the colors of these are so feminine. Perfect for a bridal shower! 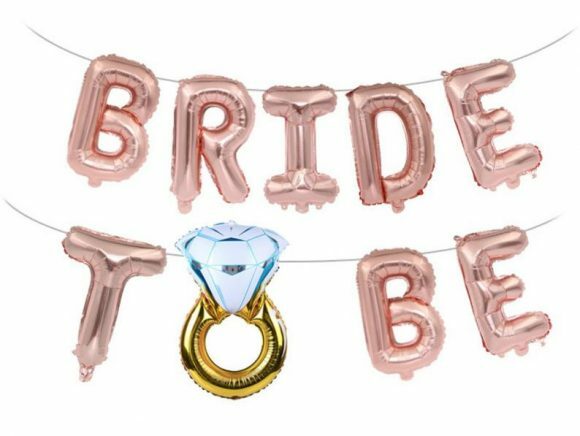 Similar to the "love" balloon we featured earlier on, this "bride to be" balloon garland is a must-have at a bridal shower! The rose gold "bride to be" balloons can be placed on the wall behind the dessert table for an ultimate bridal shower decoration. 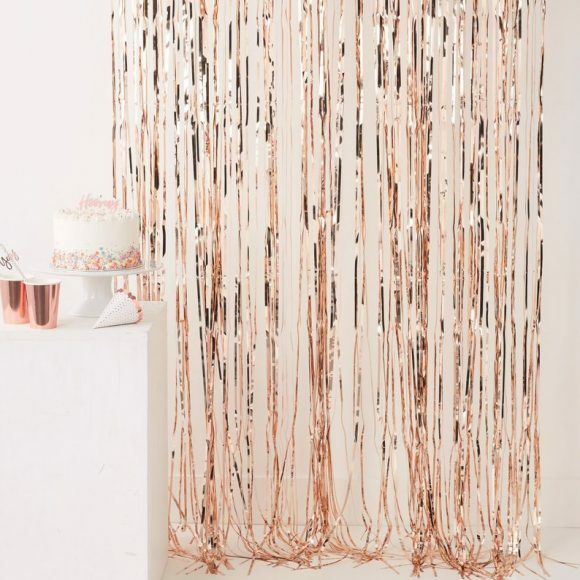 If you're looking for a more sparkly alternative, how about this dazzling rose gold fringe curtain backdrop? Not only will it look fabulous behind the dessert table, but it also doubles as the perfect backdrop for a photo booth too! Create a glam look with a chic rose gold-foiled tassel garland like this one! 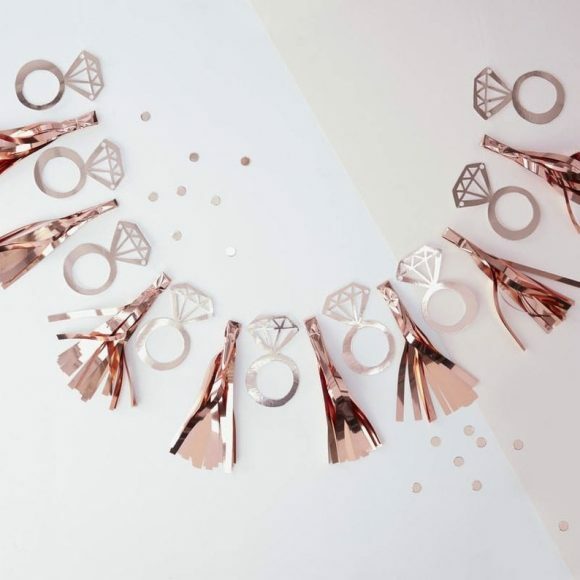 It's absolutely perfect for a bridal shower with all the fabulous rings. 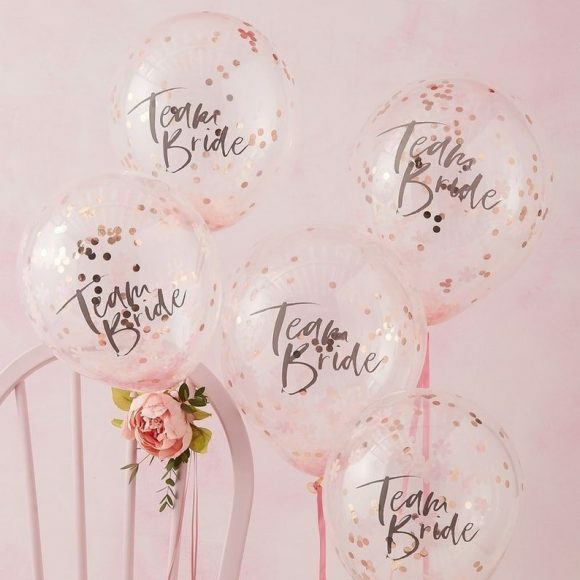 Stock up on some of these elegant confetti "team bride" balloons and scatter them around the bridal shower for a quick and easy party decoration that will impress. 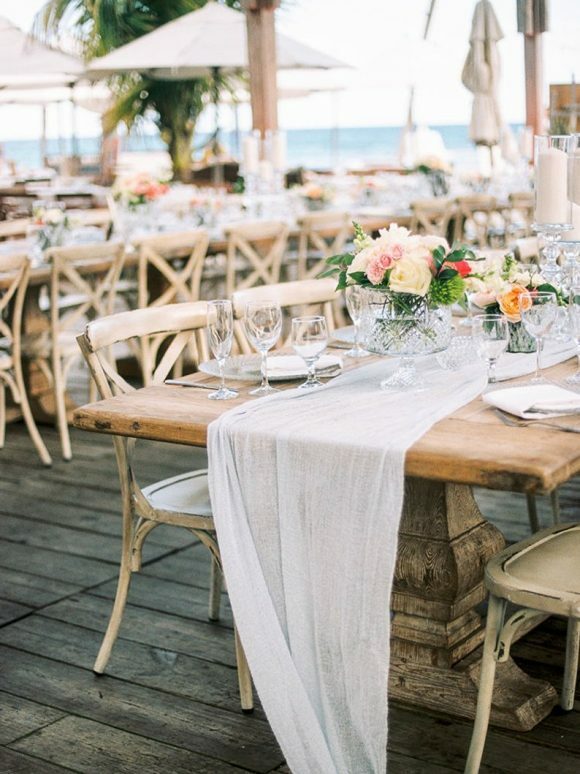 You can even just have two placed at either side of the dessert table for a stunning look. Everyone loves a donut, which explains why donut walls seem to be everywhere. They are massively trendy and are found at all sorts of parties. So why not have one at the bridal shower too? Not only are they a great way to serve donuts, but they also look fabulous with all the colorful donuts in place, but it also doubles as wonderful bridal shower decoration. The gals will love them! 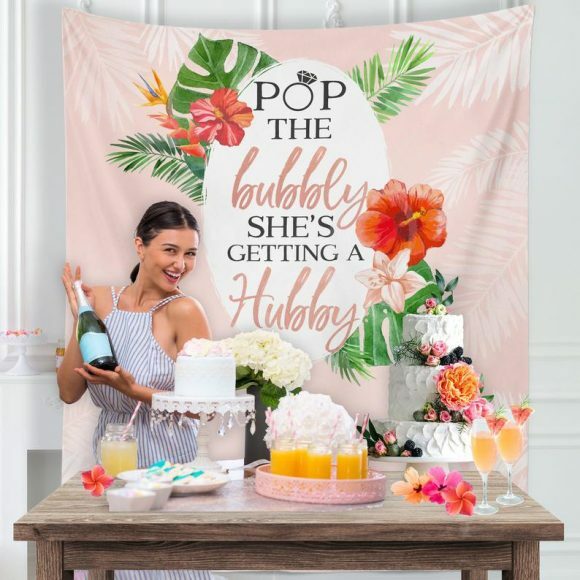 If you're planning on having a bar at the bridal shower, (and I highly recommend you do) then this backdrop is perfect. We're loving the tropical vibe of the tapestry that can be easily placed behind the bar, setting the tone for the party! Bring on the cocktails! Create a gorgeous and elegant look to the dining table with a beautiful cheese cloth runner like this one. You can pick from a wide variety of colors to match the bridal shower color scheme. It gives a dreamy feel to your table. 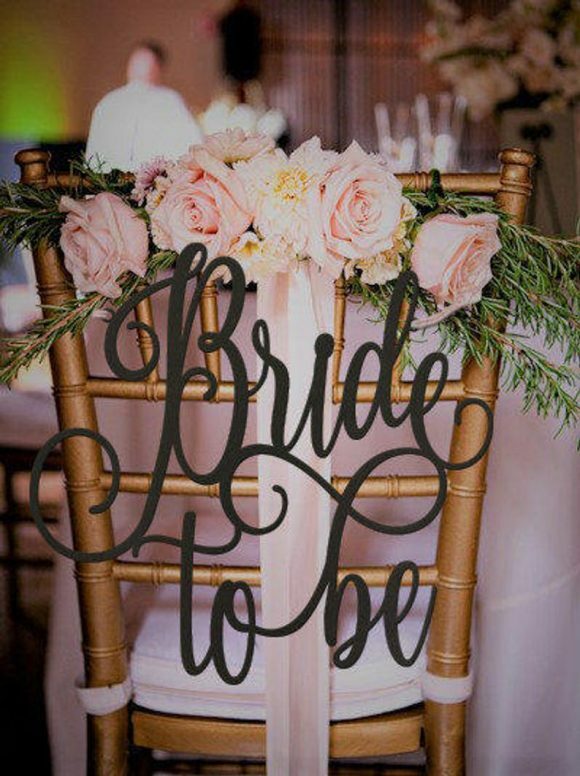 Make the bride-to-be feel special with her very own decorated chair. The typography is stunning, and will look great at the head of the table! What could be more romantic than the groom-to -e on his knee proposing? 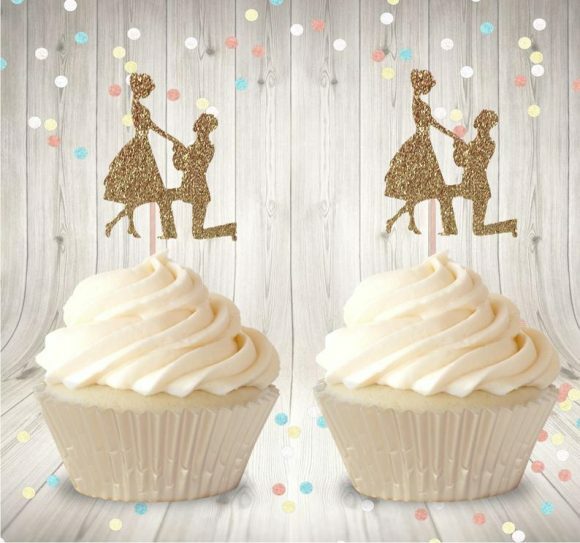 These gold glitter cupcake toppers are really heartwarming and turn regular store-bought cupcakes into showstoppers. Another fun way to add some bridal shower flair to the tablescape is to place these chic "bride to be" napkins on each plate. They look wonderful and are definitely on theme! A bridal shower guest book is a lovely keepsake that the bride-to-be can cherish as a reminder of her special day for years to come. 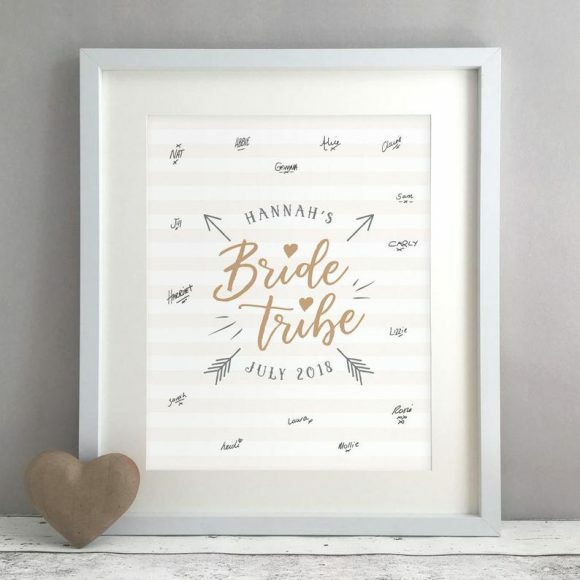 This guest book poster takes it to another level by doubling up as a decoration that the bride-to-be can hang up on a wall in her new home and look at with sweet memories. 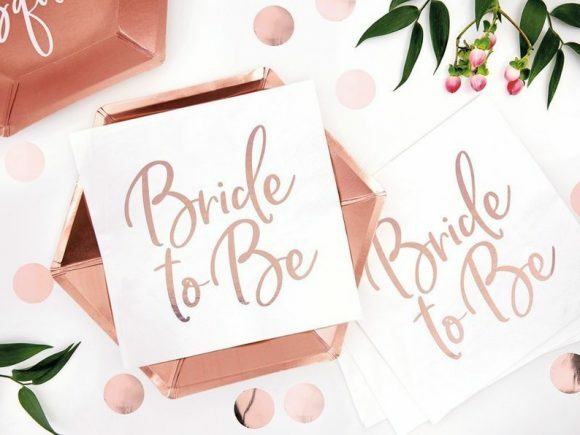 12 inspiring Bridal Shower Themes! 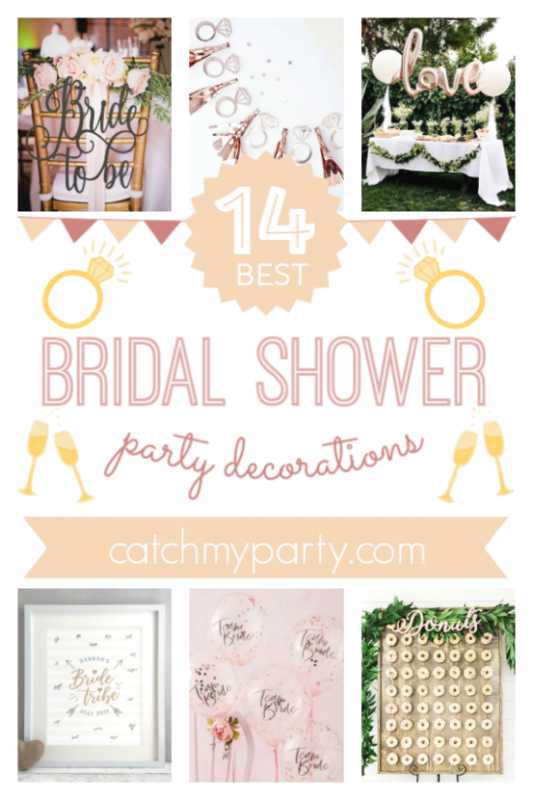 12 Most Wonderful Bridal Shower Party Supplies! **Some of these links may be an affiliate.